Fairport Convention are an English folk rock and later electric folk band, formed in 1967 who are still recording and touring today. They are widely regarded as the most important single group in the Englishfolk rock movement. 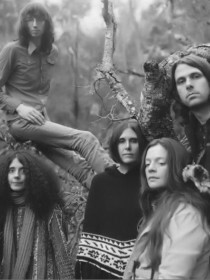 Their seminal album Liege and Lief is generally considered to have launched the electric folk or English folk rock movement, which provided a distinctively English identity to rock music and helped awaken much wider interest in traditional music in general. The large number of personnel who have been part of the band are among the most highly regarded and influential musicians of their era and have gone on to participate in a large number of significant bands, or enjoyed important solo careers. Since 1979 they have hosted the Cropredy Festival, which is the largest such annual event in England. Individually and collectively the members of Fairport Convention have received numerous awards recognizing their contribution to music and culture.